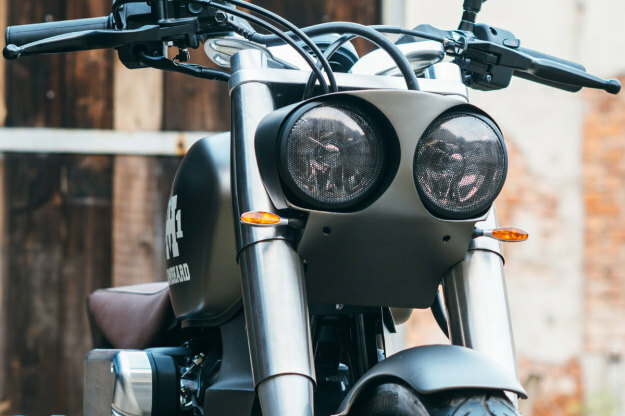 After decades of enjoying the middleweight V-twin market to itself, the Harley Sportster is facing serious challenges. The two biggest contenders? 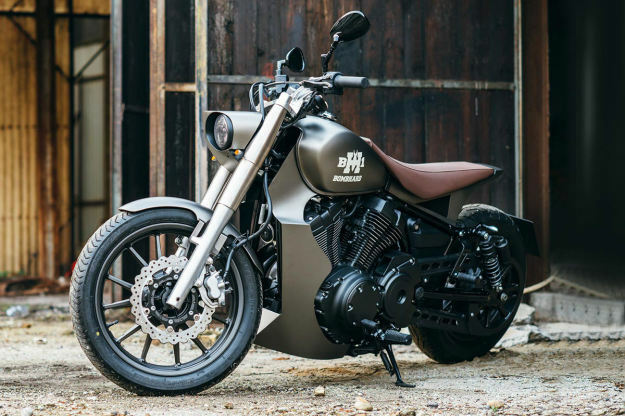 The postmodern Indian Scout and the retro bobber-styled Star Bolt, which is known to Europeans as the Yamaha XV950. 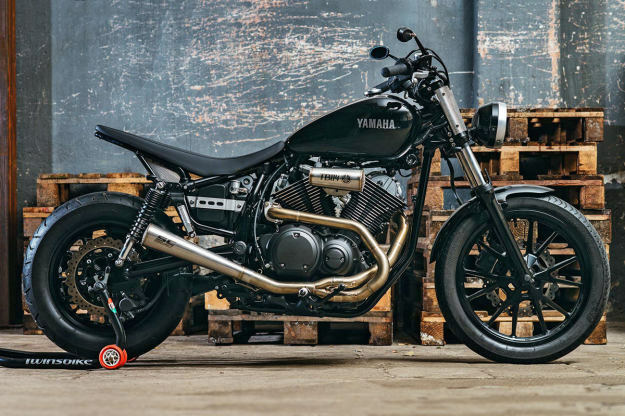 In the USA, Yamaha’s already run a custom build-off centered the Bolt—and now it’s the turn of the Italian distributor. The ‘Garage Challenge’ pits six Italian Yamaha dealers against each other, rather than pro builders. But the results are just as good. 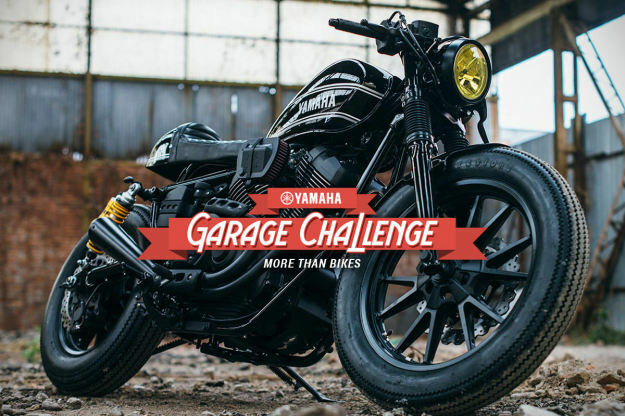 You can vote on the Garage Challenge website to help choose the winner, and it’ll be announced at the Motor Bike Expo in Verona on 22 January. These are our three favorite builds. It’s a much more aggressive style than the stock bike, but fortunately the handling of the XV950 is amongst the best of any V-twin. 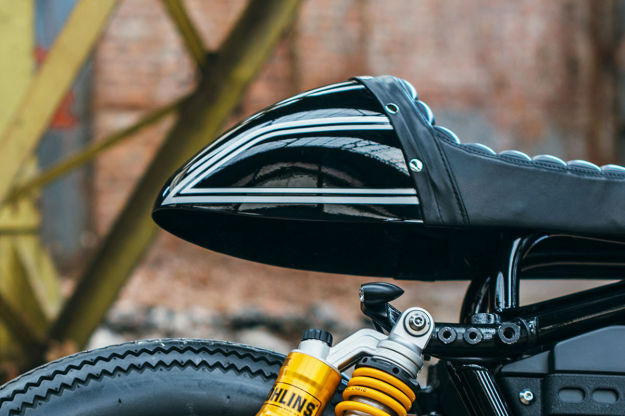 The highlight is the new tail unit, which replaces the bobber look with a racier vibe and hides a new subframe. Glossy black paint and subtle pinstripes keep things classy: the only touches of color are the yellow of the headlight lens and the shocks. 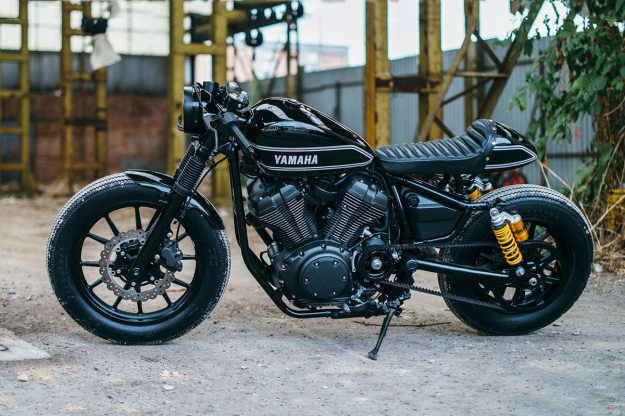 Bombhard BH1 by Moto Shop (below) The Parma-based showroom is the oldest Yamaha dealer in Europe, and they’ve chosen a vintage look for this XV950. The styling is straight out of the 1930s and influenced by the Art Deco movement. The engine shroud and headlamp nacelles are an inspired touch, and hide a custom triple clamp arrangement. With nothing more than a 5mm allen key, you can adjust the geometry from cruiser to café racer depending on your mood. Designers Giovanni Buratti and Daniele Pasetti have reportedly patented the system, but we’re more intrigued by the motocross-style seat. It’s the last thing you’d expect to see on bike harking back to the 1930s, but it strangely works. TB114 by Twinsbike (below) The small Milanese dealer has only been operating for ten years, but this tracker-styled XV950 is one of the highlights of the Garage Challenge. 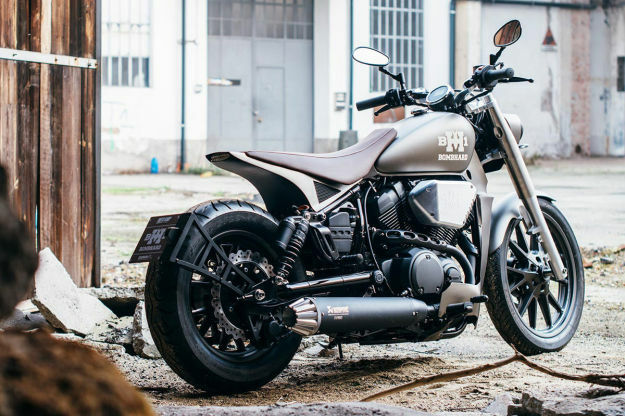 The company has MotoGP experience, so it’s not surprising that this is the most sporting of the XV950 customs. We’re especially digging the air intake and the sinuous exhaust system, which was built by SC Project. 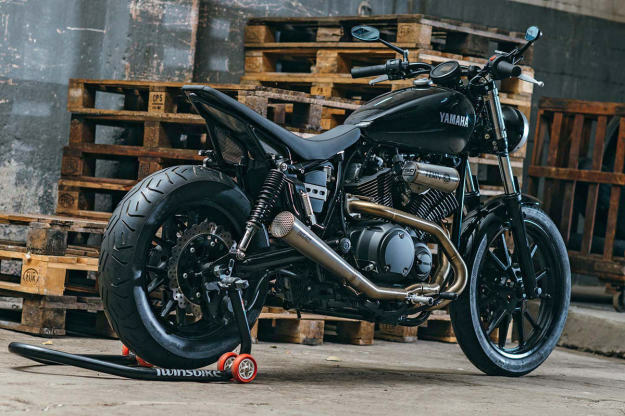 At first glance it’d be hard to pick this as an XV950: the new lines are beautifully judged, and the uplift at the back from the matching seat unit and flared muffler just screams ‘dirt track’. We’d be happy to put any of these XV950s in the Bike EXIF garage. Which one would you choose? If you have a working knowledge of Italian and want to cast your vote, head over to the Garage Challenge website.